KineOptics has been awarded the contract to supply the LIGO observatory with another 197 HEPI Hydraulic Seismic Isolation Actuators. These will be tested and calibrated at LIGO Livingston Observatory and most will be installed at LIGO Hanford Observatory. LIGO, (Laser Interferometer Gravitational Wave Observatory), is a joint MIT / Caltech project observing gravitational wave radiation. 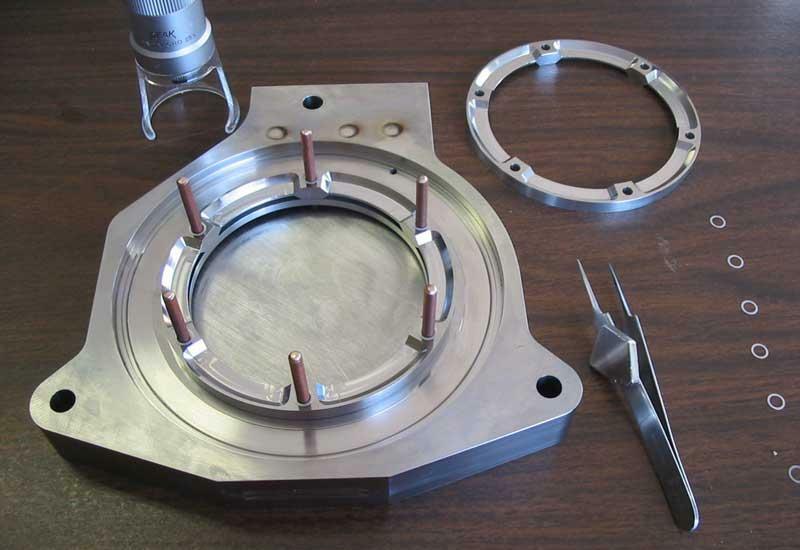 Below are some pictures during the assembly of the LIGO HEPI Actuators. The Diaphragm is inserted and the Diaphragm Restraint is screwed down to clamp it. Placement of the first set of shims. 309 actuators = 5,562 shims. A resistor is installed and another set of Shims. The shims are .004" thick. Another Resistor Plate and the last set of Shims. The Resistor Cap is then installed and screwed down. 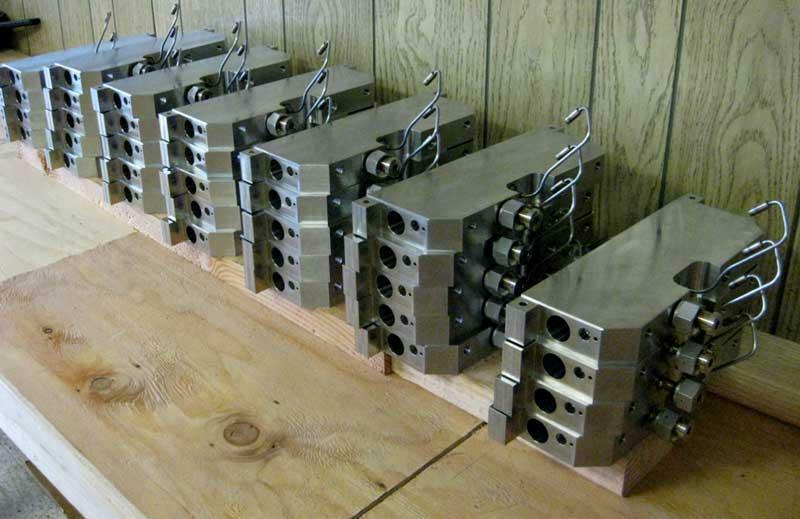 Shims have to be correctly installed, missing one or doubling one would fail the actuator. 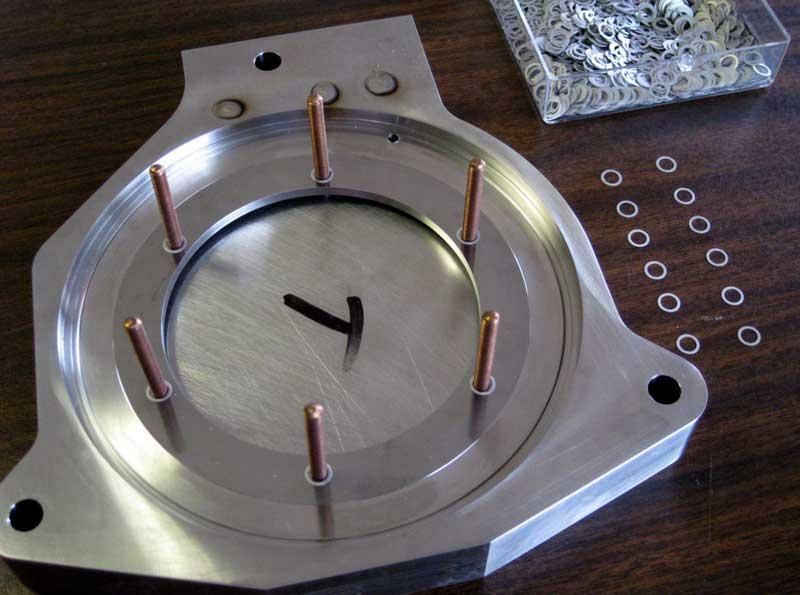 Since this assembly is welded in, it can't be removed and repaired later. Most carefully were the procedures followed. Welding the supply and return lines on to the manifold. Welding the Bleed Tube to the Manifold. 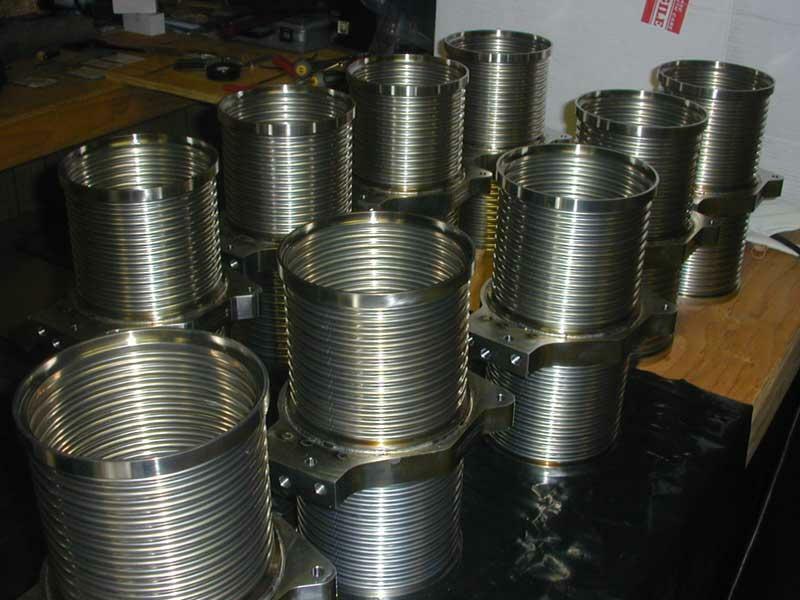 A group of Manifold assemblies ready for installation. 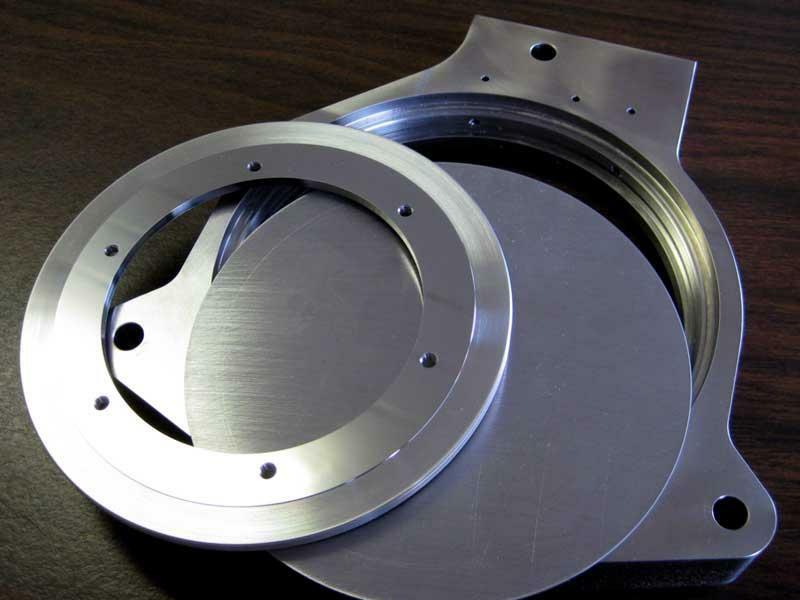 A group of Actuator Plates and Bellows in a welding process, currently in a cooling cycle. 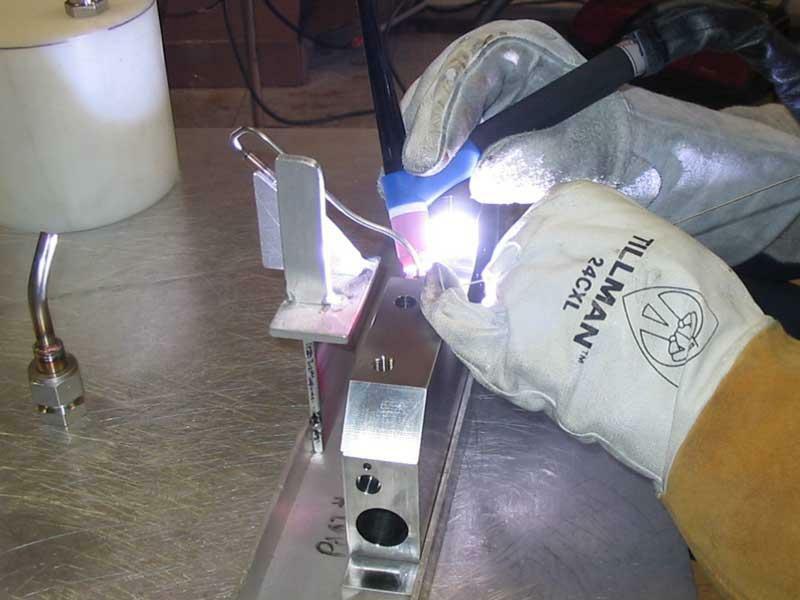 Welding the Bleed Tube to the Actuator Plate during the Manifold installation. 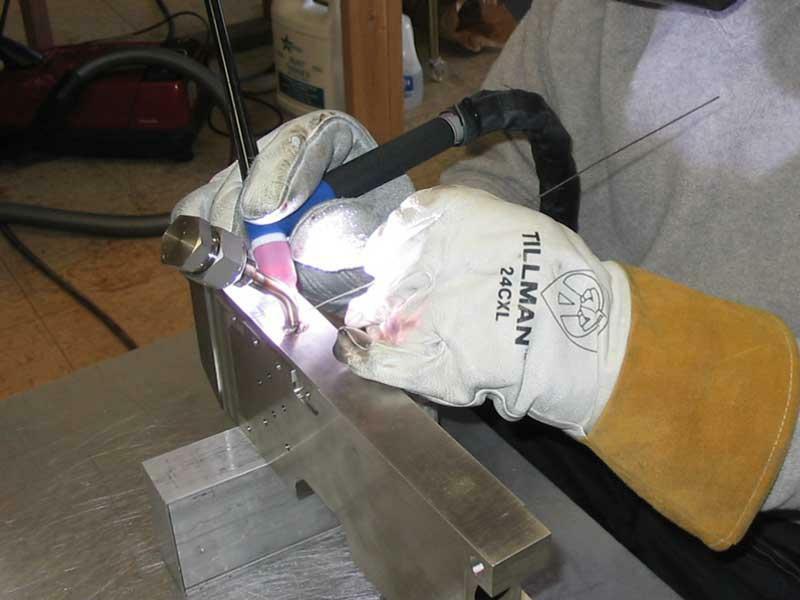 Welding the Top and Bottom Plates to the Bellows and Actuator plate assembly. 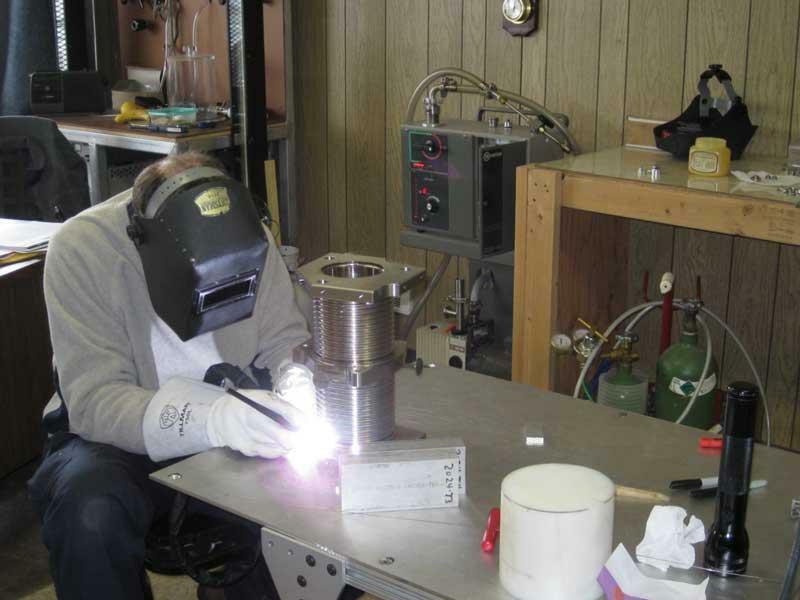 Great care must be taken when welding next to the very thin Bellows. 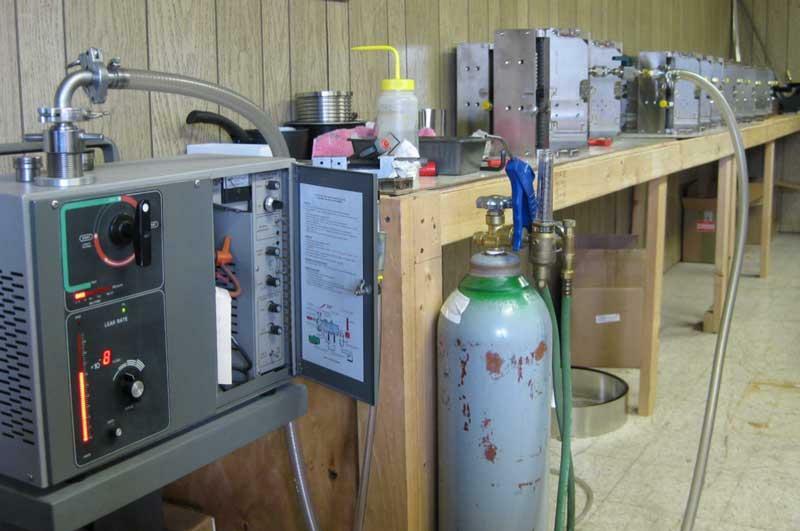 A Varian Helium leak detctor is idling in the background. 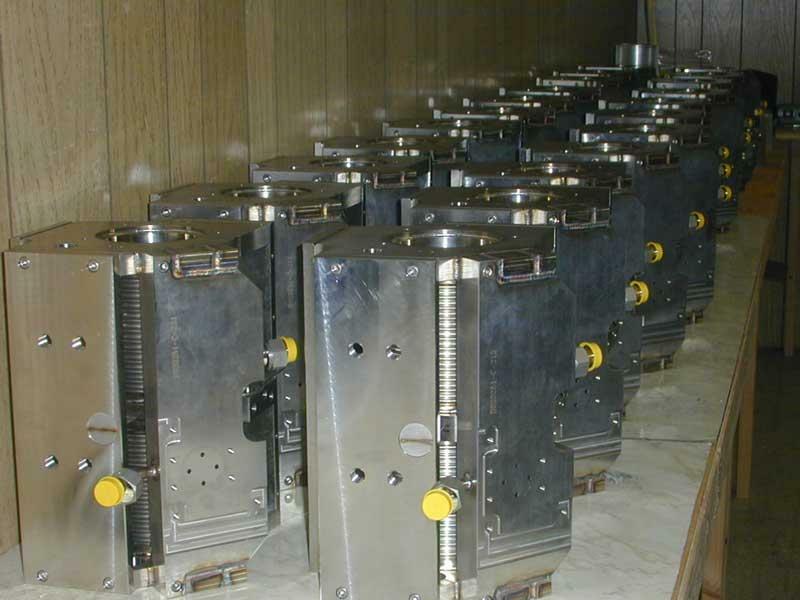 A group of HEPI actuators lined up waiting for final welding and components. 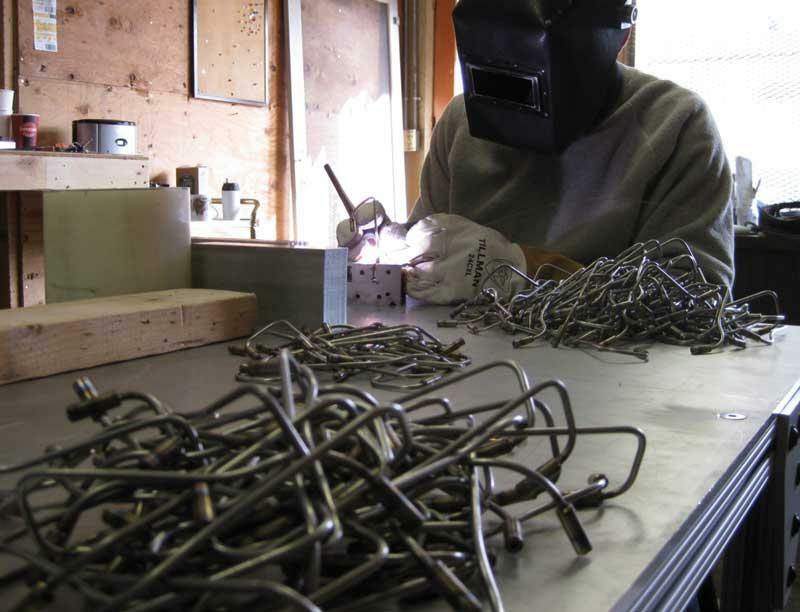 The total of 309 HEPI actuators required 1.3 km of weld, all done by one person using TIG with very little filler material. Welding was for sealing more than strength. 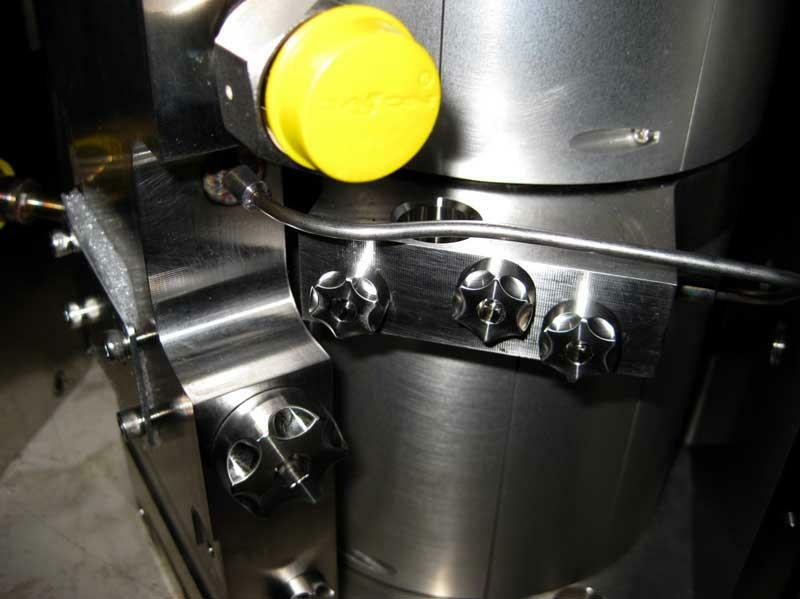 A closeup of the Actuator Plate and Manifold showing the Bleed Valve Caps. Leak Testing using a Varian helium leak detector. Actuators finished and ready for shipping. 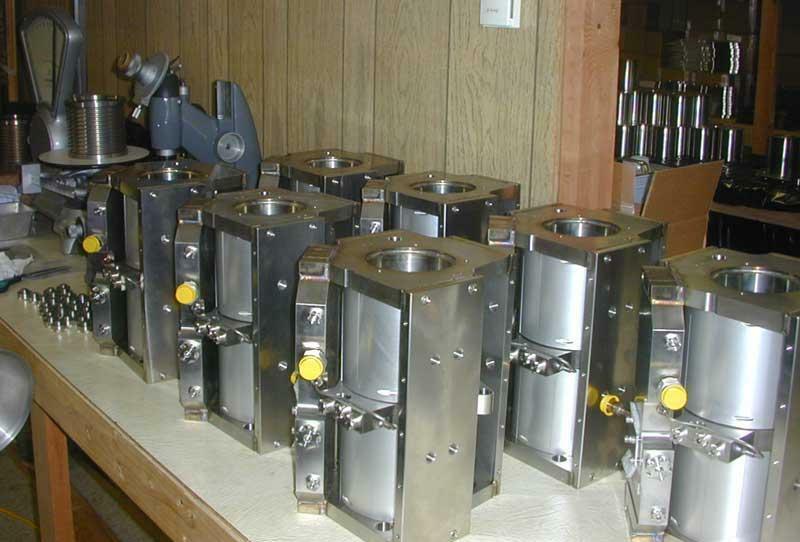 A stereo image of a bunch of Actuators ready to ship. Cross eyes to view. 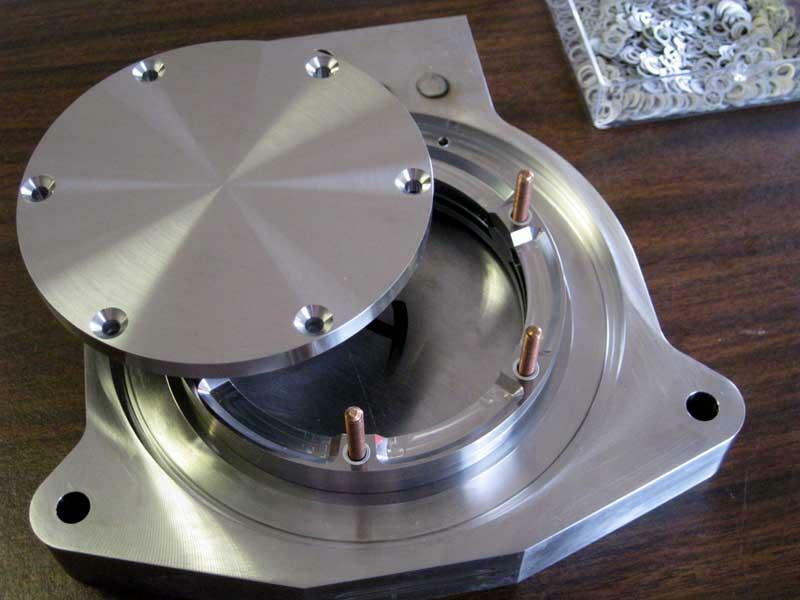 In 2002-2004 KineOptics assisted with the final design, assembled and tested the first prototypes, managed the manufacturing, and did the assembly and testing of 112 of these actuators. 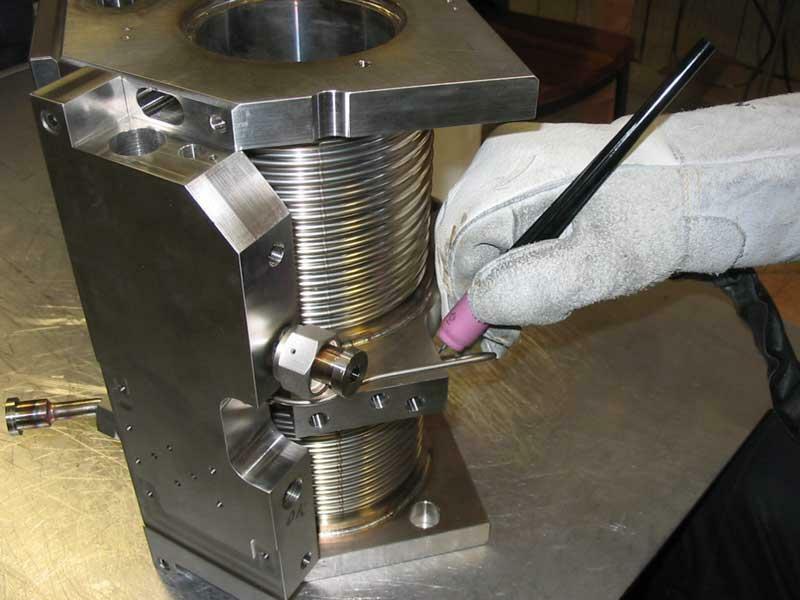 They are welded units and were leak checked with a Varian Helium leak detector. This is a stereo image of some of them in the LIGO Livingston clean room staging area waiting installation. Cross your eyes to view. It also helps to use your hands to cover your right eye so it only sees the left image and left eye so it only sees the right image.